There’s nothing more exciting than breaking free of cubicle life and starting your own business. Finally, you can be your own boss and make your own rules. You get to decide how your time is spent, who you partner with and how you go about doing business. To be sure, there are a lot of benefits to running your own company. But there are also quite a few drawbacks to entrepreneurship. For one, there’s no safety net - you’re putting most, if not all, of your eggs in the basket labeled “I’m going to start a business, and it’s going to be a success.” There are stressful decisions to be made on a regular basis regarding hiring, firing, pricing, planning, partnerships and more. The scale of work-life balance tends to tilt toward the work side (if not crash to the floor). But how many hours per week do entrepreneurs really work? Do they take vacations and/or weekends off? How do they cope with the day-to-day stress of running a business? Are there opportunities to delegate or outsource that are being missed - and do entrepreneurs trust their employees enough to pass the work off to them? What’s the lifestyle cost of being an entrepreneur? 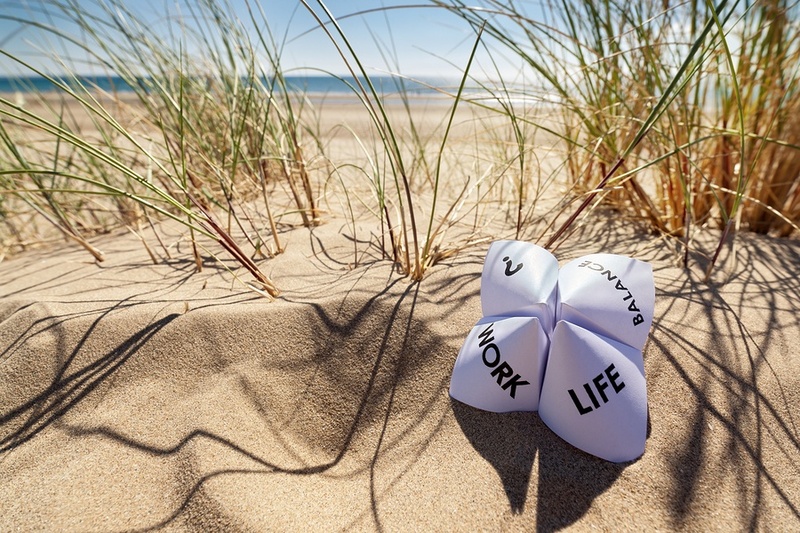 Most importantly, is true work-life balance possible for small business owners? How Many Hours Are Small Business Owners REALLY Working? Although around 1 in 5 business owners work less than the standard 40-hour work week - a major win for those who are able to achieve it - the majority are in the 40+ category. And there are still a significant number of entrepreneurs pulling 60+ hours per week. Next, we asked the small business owners if they expected any change in the hours they would work in 2014. More than half said they expected no change, but one-third said they anticipated an increase in the hours they work. For 85% of entrepreneurs, there’s no light at the end of the tunnel - they’ll be working just as much, if not more, in 2014. This isn't good news, especially considering that in 2013 the salaries of small business owners are down 5% from the previous year. Only 15% said they expected to work fewer hours in 2014 than they did this year. Is working long hours necessarily a bad thing, though? Maybe not. In fact, some small business owners just enjoy working a lot. How Many Hours Do Entrepreneurs Want to Work Each Week? It’s difficult to tell if somebody is working too much without first knowing how many hours they prefer to work each week. Surprisingly, 1% of the business owners we surveyed actually want to work more than 60 hours per week, and 43% prefer to clock in a minimum of 40 hours each week. By contrast, 56% want to work 39 hours or less each week. The takeaway: although small business owners don’t mind putting in the hours to grow their companies, most are still spending more time working than they’d prefer. Although entrepreneurs are putting in a lot of hours, they agree that there are some advantages to owning your own business - like increased flexibility. Sure, some small business owners may be working 55 hours per week, but at least they have more say in exactly when those hours are. When we asked, “Compared to your former career, does owning your own business give you more or less flexibility with pursuing outside interests?”, 73% reported they do have more flexibility with their hours now than they did when they were working for somebody else. Nearly one in ten small business owners who responded to our survey are lifelong entrepreneurs, with no other job to compare it to. There’s a hefty price tag (read: time investment) that comes along with owning your own business, but the vast majority of entrepreneurs find that it gives them the flexibility many cubicle dwellers only wish they had. How many of those extra working hours are spilling over into the weekend? Quite a few. In fact, an astounding 97% of small business owners work weekends, with 40% working “always” or “often”. The survey also found that members of The Alternative Board are less likely to work weekends than non-members, which probably has a lot to do with their focus on strategic planning - more on that later. The good news here is that almost all small business owners are able to get away from their companies and recharge their batteries. The vacation days may not be in the summer - or other peak sales times - but they do exist, and almost half of entrepreneurs are able to take more than the standard two weeks off each year. Very few are working straight through the year, which can’t be sustainable for very long. On a TAB-specific note, the TAB members we surveyed take considerably more vacation days than non-members do. Again, this can largely be attributed to strategic planning. If the “average” job consists of 40 hours per week with a two-week vacation, small business owners are working far more than average. But are they working too hard? In most cases, yes - 79% believe that they are working too much. Still, that leaves almost one in five business owners in the sweet spot of working without feeling overworked. The biggest reason small business owners are working more than they should? Because they feel like there are some tasks only they can handle (32%). A significant number also reported that their business requires a temporary increase in working hours (16%), that they need to make more money (13%), or that they’re worried about falling behind (8%). How Stressed Out Are Small Business Owners? Even worse, most small business owners experience multiple symptoms as a result of work-related stress. Fortunately, there’s a solution to the long hours, nonexistent weekends and work-related stress symptoms: handing a lot of this work off to another person. In a word: delegating. If entrepreneurs are able to hand off some of the tasks that they normally do to a competent employee, the ‘treps will have more free time and less to stress out about. To be sure, delegating is a skill that can be learned. But as of right now, how do small business owners feel about their ability to delegate tasks to those who work for them? When asked to rate their personal ability to delegate responsibilities to others, 65% of respondents said they are “good” or “very good”. Only 5% said they were “poor” or “very poor” at delegating tasks. If small business owners are so comfortable with their delegating skills, why are they working as hard - and as many hours - as they currently are? Before entrepreneurs can delegate tasks they’re accustomed to performing, they must have confidence in their team. Perhaps that’s where the problem is? The first three can be resolved by training and empowering employees, which may take some forethought and - once again - strategic planning. Since the survey shows that 70% of entrepreneurs can benefit from setting themselves (and their staffs) up to spread the work around a little more evenly, allocating a good chunk of time to strategic planning is an investment that will pay dividends for years. Obviously there’s a big difference between delegating and outsourcing tasks - and each has its benefits. With delegating, you’re using existing employee resources. With outsourcing, you’re going outside of your talent pool to bring in people who are more efficient or effective at a particular task - and depending on the job outsourcing may be cheaper, making it a very attractive option for many small business owners. When asked about outsourcing tasks that aren’t currently delegated to employees, 56% said that they were likely to outsource. This still leaves 44% who are “somewhat unlikely” or “very unlikely” to outsource work to other contractors or companies. But why not? So for some, it’s a money issue. But to a large degree, the biggest barrier to outsourcing tasks to other companies is lack of trust. As a result, small business owners are more likely to keep their work to themselves. Only 8% reported that there was no need to change the number of hours they were working, which indicates that a whole lot of entrepreneurs should probably reevaluate their stances on delegating and outsourcing. All of these options are important and deserve the focus and attention of the small business owner, and illustrate that there’s a significant price tag associated with holding onto tasks and not outsourcing or delegating. This clearly underscores the fact that by spending time on specific tasks that could be delegated, business owners are missing out on the more important, high-level things that really can’t be delegated or outsourced. What’s the cost of spending five hours working on a project that somebody else could handle? Those hours go missing from the sales, product development or marketing departments, which very likely all have higher revenue potential than the five-hour task that could be delegated. In short, business owners are missing out on increased sales and revenue because they’re not outsourcing or delegating as much as they could (and probably should). A lack of planning leads to a lack of prioritization. Though the survey showed there were some definite majority trends - the desire to spend more time with friends and family, a tendency to work weekends and a level of stress in the workplace - we were surprised at how truly eclectic and diverse our entrepreneurs revealed themselves to be. 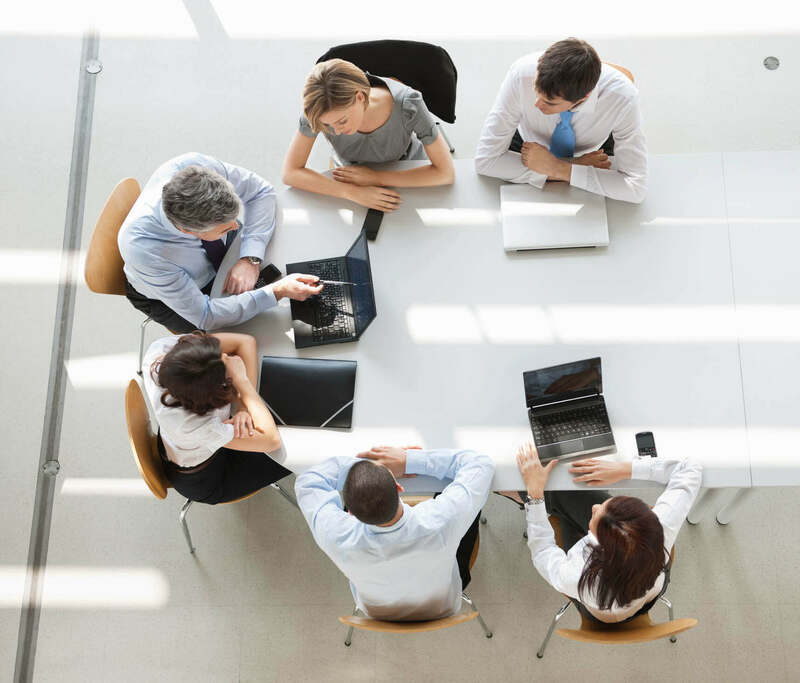 We were also able to pinpoint some of the common benefits of working with The Alternative Board, including fewer working weekends, more vacation time and increased success with strategic outsourcing. Small business owners will always be faced with the challenge of achieving a healthy work-life balance. At its core, entrepreneurship comes with a list of inherent risks and responsibilities - if it was easy, everyone would do it. But it’s difficult for a leader to be effective in a business (or any) setting if they’re stressed out, working nonstop and hoarding tasks that could be passed off to somebody else. There has to be some sort of work-life balance. Finding this balance - or at least consciously pursuing it - should be a top priority for all small business owners. This is where strategic planning comes into play, because without a game plan in place to move forward entrepreneurs are forced to fly by the seats of their pants, putting out fires by completing tasks that nobody else is trained or trusted to do. What is a Strategic Plan and Why Does Your Business Need One? Still want more? Contact TAB today, and we’ll help you develop and execute a strategic plan that will help grow your business and put more life back into your work-life balance. Some of the results of TAB's work-life balance survey of small business owners can be seen in the infographic below. If you're a reporter and would like to see the full survey results, please contact jason(at)contentfac(dot)com.